Patrice Evra’s recent homophobic remarks may land him in trouble after a gay rights group pressed charges against the former Manchester United defender. 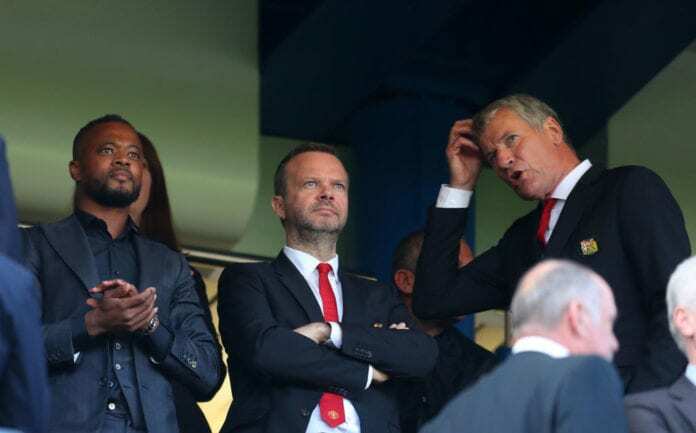 PSG top executives were reportedly angered by Evra’s social media posts following the Red Devil’s comeback in Paris. And reports are rife the former Monaco and Juve player was heard saying the word ‘pede’, which has anti-gay connotations, and rights group Rouge Direct has since launched legal proceedings. “We don’t want to just let the insults from a former France captain pass by,” Rouge Direct spokesman Julien Pontes revealed in a quote cited on Football Italia. And it’s believed the 37-year-old could face up to a year behind bars and a €40,000 fine if he is found guilty of homophobic offences. But Mr Evra has since apologised for the comments in a separate video after accusing the French Press of blowing things out of proportion.